Among the returners are the 2018 OVC Pitcher of the Year Morgan Rackel (22-7, 1.41 ERA, 204 K’s) and Freshman of the Year outfielder Bailey Shorter (.319, 5 HR, 25 RBI). Joining Rackel on the All-OVC First-Team is senior third baseman Danielle Liermann (.343, 15 HR, 51 RBI), while senior outfielder Kacy Acree (.316, 8 HR, 34 RBI) was named All-OVC second-Team with Shorter. Also returning are two All-OVC Newcomer Team selections in senior outfielder Natalie Schilling (.287, 45 R, 40 SB) and senior pitcher Kelly Mardones (13-7, 2.51 ERA, 45 K’s). Senior catcher Carly Mattson (.244, 12 HR, 29 RBI) was named to the OVC All-Tournament Team, joining Rackel, with sophomore middle infielder Brooke Pfefferle (.215, 2 HR, 13 RBI) joined Liermann and Mardones on the National Softball Invitational Championship All-Region Team. This talented group, along with other returning players and the lone newcomer to the team — freshman infielder Lexi Osowski (San Diego, CA) — will be challenged this season facing arguably the toughest schedule in program history. 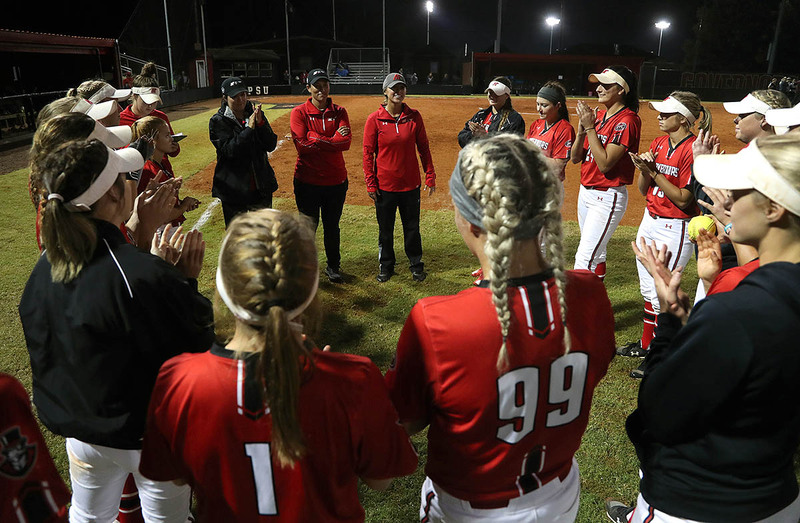 The Govs under the direction of first-year head coach Kassie Stanfill, who takes over the Austin Peay after serving as an assistant coach at Louisville, will have at least 18 games coming against teams that played past their respective conference tournament’s – the most faced by any APSU softball team in the program’s 34-year history. 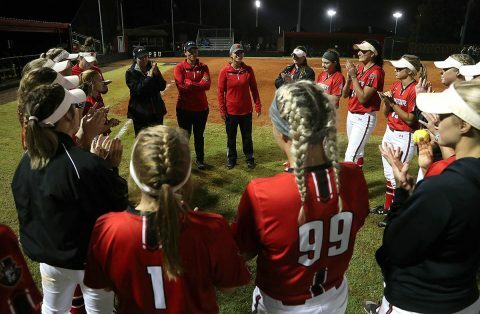 Among those are Louisiana, McNeese State, Middle Tennessee, Mississippi, North Alabama and Jacksonville State who participated in the NCAA Tournament in 2018, while Stephen F. Austin, UNLV and Eastern Kentucky joined APSU in the NISC tournament field. The Govs will also have to be road warriors this season with only 13 of their 56 scheduled games coming at their home facility, Joe and Cathi Maynard Softball Stadium-Cheryl Holt Field, with the first coming on March 9th-10th when they host North Alabama for a three-game series. While the Govs 34th softball season sets up to the one of, if not, the toughest in program history, a returning, talented Govs squad seem primed to make another deep run come post-season time.